Do you really have time to be setting your lineup for the Thanksgiving games? Boris Chen, a data scientist at the New York Times, puts this set of visualizations together every week, but this seems like a particularly useful week to share them. 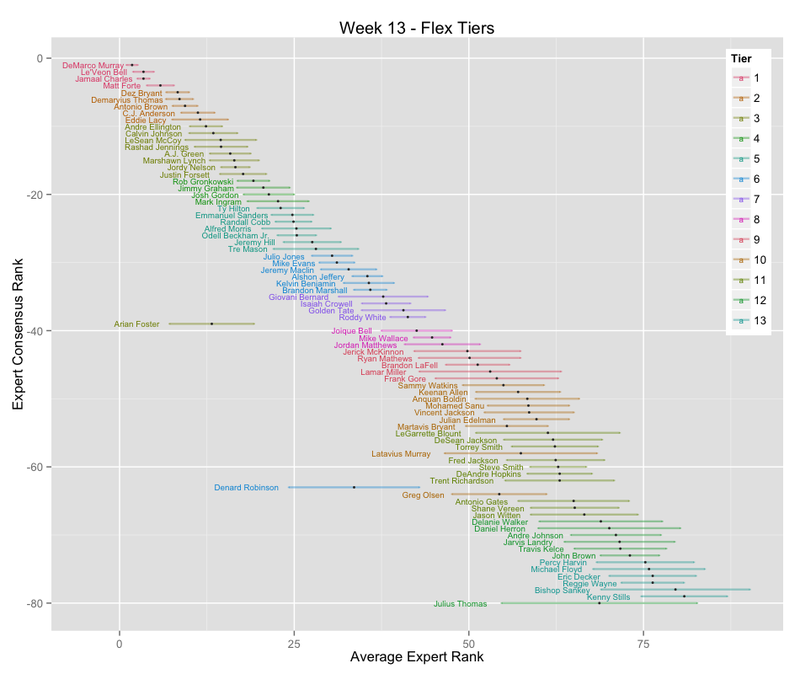 He uses a clustering algorithm to convert aggregated data from fantasypros.com into tiers. I'm pasting in his charts for this week, but you should bookmark Chen's page, or just find the NYT versions when they go up. Chen also has rest-of-season, PPR, 0.5 PPR, and ROS PPR versions. Above is the standard scoring Flex chart. Below are QB, RB, WR, TE, and DEF.